Ben Stiller (born as Benjamin Edward Stiller in New York City, New York, U.S.) is a famous Comedian from USA, he is 53 years old and still alive, born November 30, 1965. Benjamin Edward "Ben" Stiller is an American comedian, actor, screenwriter, producer and film director. He is the son of actors and comedians Jerry Stiller and Anne Meara. 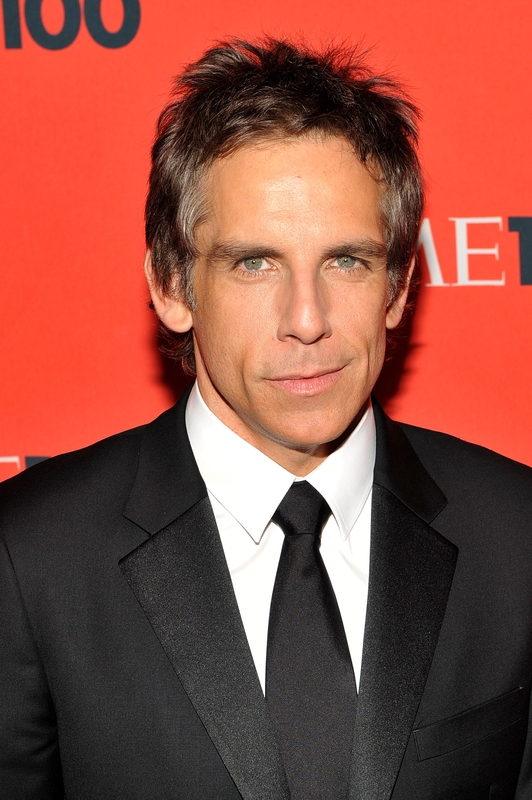 Stiller has starred in and created many successful comedy films of the nineties and in the 2000s, including Something About Mary, Zoolander, Dodgeball: A True Underdog Story, Meet the Parents and Meet the Fockers. Stiller began his career with a small supporting role in the epic Empire of the Sun (1987), but it was the sketch show, The Ben Stiller Show (1992-1993) that Stiller market with his comedic talent. The show was at that time one of the only comedy series that did not use canned laughter or a studio audience. The show won in 1993 an Emmy Award. Ben Stiller is married to actress Christine Taylor, 13 May 2000, with whom he has a daughter and a son. Stiller and Taylor has appeared in several films together, including Zoolander (2001). He is born under the zodiac sagittarius, who is known for Philosophical, Motion, Experimentation, Optimism. Our collection contains 31 quotes who is written / told by Ben. "You're freaked out that you're going to be having a child, and once you're looking after your daughter, it's the most beautiful thing in the world"
"Paul is Starsky, and I met him before shooting. He was very kind and encouraged us to go with what we wanted to do. It was very sweet to see them back with the car after 25 years"
"Jim Carrey, a comic genius, has a harder time overcoming the public's desire for him to be funny simply because he's so good at it"
"I don't think the public is dying to see me necessarily be funny all the time"
"My own parents were touchy-feely"
"There's an old saying in Hollywood: It's not the length of your film, it's how you use it"
"Sometimes I wondered whether I hadn't let my career get confined to one direction, but lately I've decided to accept the fact that I have this opportunity to be successful doing comedies"
"Maybe forced retirement isn't necessary after all"
"I think people will be curious to see what I can do as a dramatic actor"
"I don't have a burning desire to be taken seriously as an actor. I don't have a master plan in that way"
"The failure of The Cable Guy impacted my career. I had to start writing and acting again"
"It was a mixed blessing to have famous parents. It was tough to go to auditions and be bad, since I couldn't be anonymous"
"I think most politicians could take a dodgeball in the face"
"I just watched Paul Michael Glaser. He was the reason I wanted to do the movie because as a kid I was such a big fan of his. I watched all the episodes and tried to get a feeling for what he was doing"
"I don't think know if anything's going to translate anywhere. You're making a movie, you hope it's going to be funny, you can't think about how it's going to go over"
"I'm always willing to endure humiliation on behalf of my characters"
"I have a lot of nervous energy. Work is my best way of channelling that into something productive unless I want to wind up assaulting the postman or gardener"
"I grew up wanting to make movies, and along the way I suddenly found that I had a career doing comedy"
"The cliches are that it's the most generic Starsky and Hutch plot you can find"
"I've had a very good career and I'm grateful that the public has had some level of acceptance and appreciation of my work"
"I would like to do more dramas when I find a good role that will allow me to politely upset people's expectations of me as a comic actor"
"I don't devalue comedy as compared to drama. Not one bit"
"Fashion is so over the top"
"Very quickly after meeting Dustin, the whole image I had of him was shattered"
"I'm not an expert on the Malaysian sense of humor"
"There's always an element of fear that you need to work a lot until people get sick and tired of you or finally figure out that you're a fraud after all!" "My parents used to throw great New Year's Eve parties. They invited such an eclectic mix of showbiz people. All those cool people were always hanging out at our apartment"
"If you look at my eyes when I'm dancing, you'll see that glazed look"
"I love New York. I was sad, depressed and incredibly moved by our fellow countrymen and what they've done. I wanted to give people a chance to see something funny, have a distraction"
"I enjoy the work I do in comedies. It's a valid test of your creative abilities"
"Even when I'm not directing, that doesn't stop Owen from having ideas for what I should be doing"